Daniel Dennie Trotter, Sr. Dies! A Great Educator and Teacher Advocate Passes the Torch! His Former Students, Teachers, and Colleagues Admire His Kindness and Integrity. Son Dr. John Trotter Says, “He’s the Best School Man I Have Ever Known…and the Very Best Father!” | Georgia Teachers Speak Out! ← Sorry, Folks, But, Yes, I Have Indeed Been Right About the Atlanta and DeKalb School Systems Being “Gangsta School Systems” and Right about Beverly Hall, Crawford Lewis, Edmond Heatley, Michelle Rhee, Mark Elgart and SACS, Glenn Brock and His Law Firm, Bill & Melinda Gates, Eli & Edyth Broad and the Billionaire Foundations Which Make Public Education Much Worse Off Because of Their Tinkering and Meddling. Daniel Dennie (“Dink”) Trotter, Sr., was born on April 21, 1925 in Madison, Georgia and passed away on February 25, 2013. He was born to Robert Alston (“Doc”) Trotter, Sr., and Nellie Jane Clemons Trotter (both interred in Columbus). 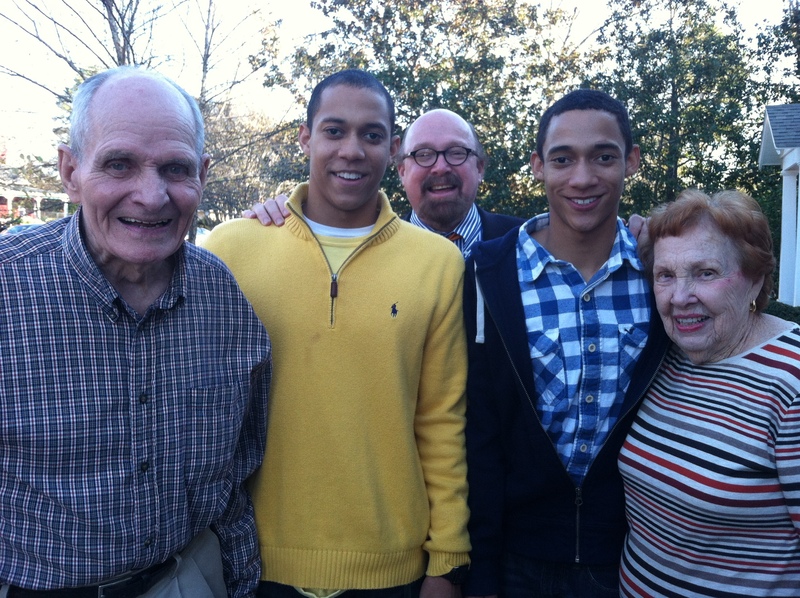 Mr. Trotter was the youngest child in his family. He was preceded in death by his sister, Jane Trotter Qualls, and his brother, Robert Alston Trotter, Jr. He is the grandson of Dr. Robert Walter Trotter and Elizabeth Howard Alston Trotter (both interred in Madison) and the great grandson of Col. Robert Augustus Alston, Esq., and Mary Charlotte MaGill Alston (both interred in Decatur). Mr. Trotter having a lighter moment with the guys at MACE. Mr. Trotter joined the U. S. Navy during the height of World War II and saw horrific action as a teenager. 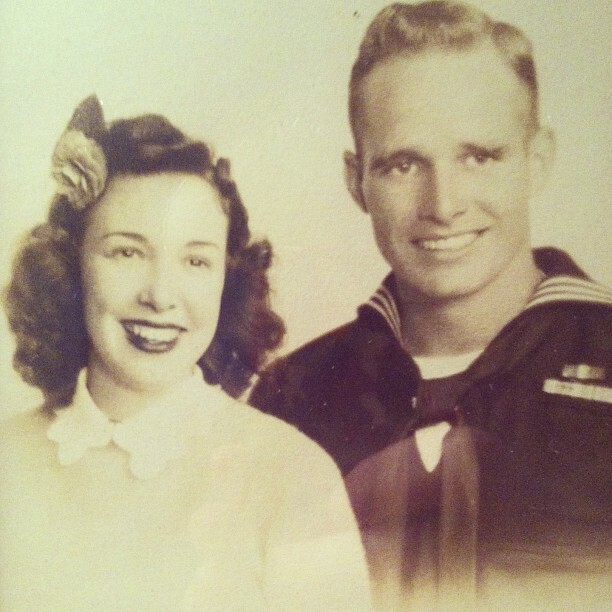 He married the love of his life, Jo Ann Frazier, toward the end of World War II when he returned Stateside on a mandatory leave because his ship was blown up by a Japanese Kamikaze plane. 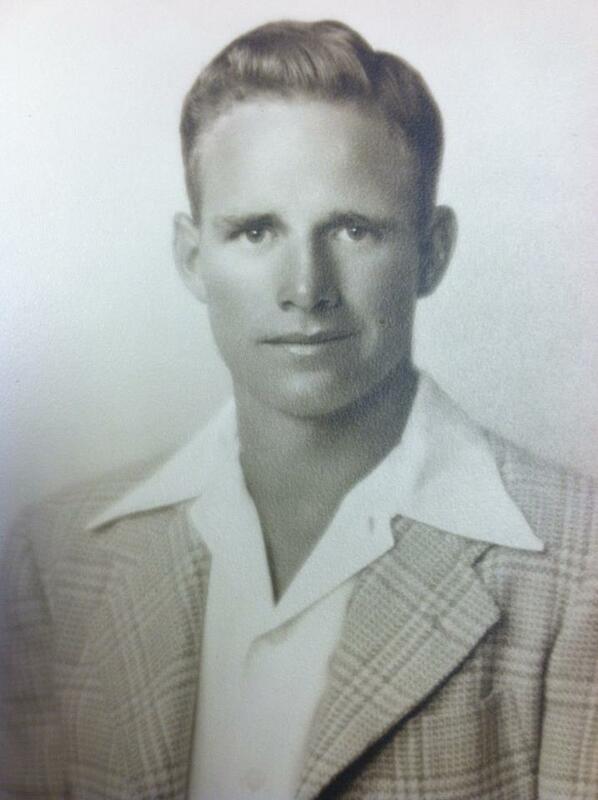 After the war, Mr. Trotter matriculated at Auburn University, graduating in 1948. Daughter Patti had been born in 1947. In 1948, the young Trotter family moved to Nashville where Dink entered Peabody College/Vanderbilt University. Upon earning his Master’s degree at Peabody, the young Trotter family moved to Dasher, Georgia, a little community outside of Valdosta where Mr. Trotter taught and coached at Dasher Bible School (now Georgia Christian School), making many long-life friends at Dasher. 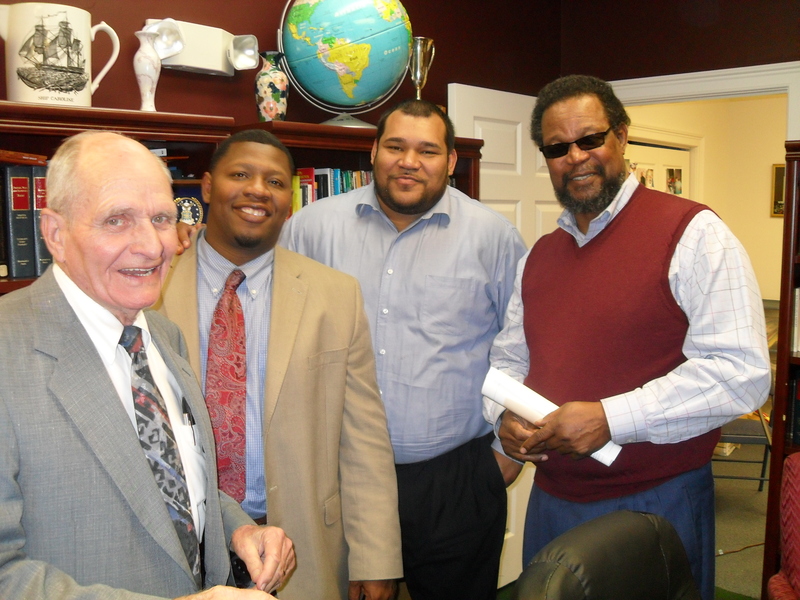 In 1950, the young Trotter family returned to Dink’s hometown of Columbus, Georgia where Dr. William Henry Shaw, Superintendent of Muscogee County School District, immediately offered Mr. Trotter a principal job. Mr. Trotter (or Coach Trotter) wisely turned it down to accept a teaching/coaching job at Columbus Jr. High School/Jordan Vocational High School. Son Dan was born in 1950 and youngest child Johnny was born on New Year’s Eve, 1953. (Mr. Trotter named “Johnny” after his best friend, Johnny Rhodes, who was killed in January of 1945 while fighting in the Battle of the Bulge.) Mr. Trotter later became Assistant Principal at Jordan and Principal at Daniel Jr. High School. He retired from the school system in 1981, after having been blessed with thousands of cherished friendships and associations of colleagues and former students throughout his career as an educator. After retiring from the school system, Mr. Trotter accepted a job as the Executive Director of the Columbus Area YMCAs. (He had earlier turned down a highly publicized offer from Columbus Mayor Jack Mickle to be the Director of Public Safety for Columbus, Georgia.) Mr. Trotter served for 12 years on the Board of Directors of the Metro Association of Classroom Educators. Dennie and Jo Trotter were married for 68 years as of February 22, 2013. Not only was Mr. Trotter a great “School Man,” he most essentially was a Christian, a Man of Faith. Many a person, especially in a time of need, turned to “Dink” for help, and their needs were met and without fanfare. He was the essence of the benevolent man. He was a strong man and a humble man. He served his church for about 50 years as both a Deacon and an Elder. If Dennie Trotter was your friend, you had a friend indeed! A young Daniel D. (Dink) Trotter, Sr. In 2011, Georgia Secretary of State Brian Kemp awarded Mr. Trotter “Georgia Citizen of the Year,” and Mr. Trotter was similarly honored by Resolution in the Georgia House of Representatives the same year. In 2011, Mr. Trotter was inducted into the Jordan Vocational High School Athletic Hall of Fame. Mr. Trotter was respected by all and adored by many. Mr. Trotter is survived by his wife of 68 years, Jo Ann Frazier Trotter, and three children, Patti Lou Trotter, Daniel D. Trotter, Jr. (Debbie), and Dr. John R. Alston Trotter (Luci). Mr. Trotter’s grandchildren are Bo Trotter Oates (Marsha), Natalie Trotter Teasley (Ben), Daniel D. Trotter, III (Lori), Caroline Reed Trotter, Marissa H. Sealey, Robert Augustus Alston Trotter, and Matthew Alston Tyndall Trotter. Mr. Trotter’s great grandchildren are Stefan Allen Burkhalter, Madison Katherine Oates, Jackson McPherson Oates, Abigail Brooke Oates, Trotter Benjamin Teasley, Canon Scott Teasley, Daniel D. (Dink) Trotter, IV, and Giles Anderson Teasley. Mr. Trotter is also survived by several nieces and nephews, Nell Qualls Bush, Minnie Qualls Smith, Jody Land Kelly, Tim Frazier, Sally Frazier Lupton, Memory Frazier Reed, and many grandnieces and grandnephews. In lieu of flowers, donations may be made to MercyMed of Columbus or Brown Bag of Columbus.